De Tokio a Lima team would like to offer a complimentary welcome glass of cava when booking a table for lunch or dinner. Located in Boutique Hotel Can Alomar Boutique Hotel Can Alomar just off Passeig del Borne in Palma, De Tokio a Lima fusion restaurant offers something unique to the city´s dining scene. Chef German de Bernardi, with a wealth of experience on Mallorca, in mainland Spain, Italy and Argentina has developed his unique Japanese, Peruvian and Mediterranean fusion menu. 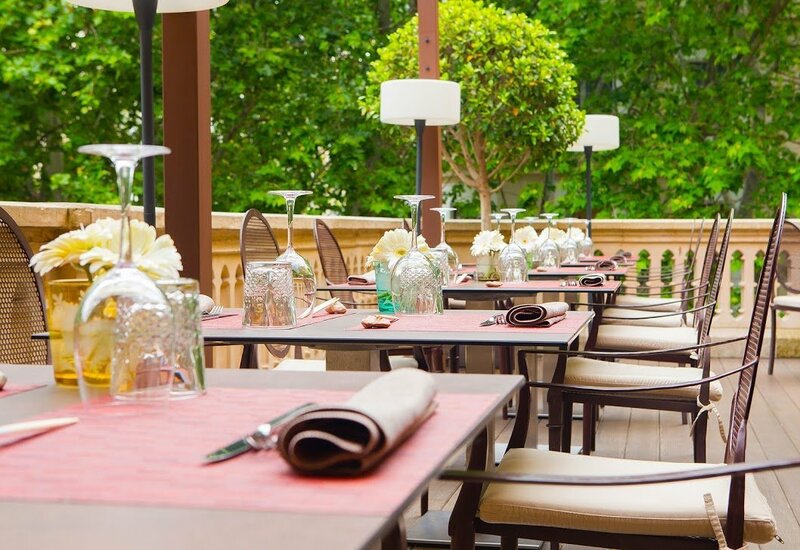 The restaurant´s dining area, which is situated on the first floorof the hotel, is flooded with light from the two terraces, the first is a perfect place for a pre lunch or dinner drink weather permitting and the second is the main dining terrace of the restaurant. Of course the main event is the menu itself , And what a menu! You will dine on an amazing selection of fusion foods some raw and some cooked such as scallop, octopus and seaweed ceviche, Quinoa salad (a staple from Japan) with spinach, seaweed, mandarin and wasabi vinaigrette, shrimp fritters with orange, hot pepper and lime sauce. For meat lovers, you could choose rack of lamb with black Thai rice and coconut sauce or beef tenderloin tataki with wild asparagus, shallot and shitake mushroom sauce to name but a few of the delicious options on the menu. You may even decide to order a few dishes and enjoy a tapa style sharing supper where everyone gets to sample the exquisite flavours of each dish. Make sure you leave some room for dessert. De Tokio a Lima offers a mouthwatering selection of cooling treats such as of Sóller lemons with meringue and caramel banana with cinnamon cream, coffee and toasted almonds which can be accompanied by 12 year old Yamasaki Japanese whiskey . 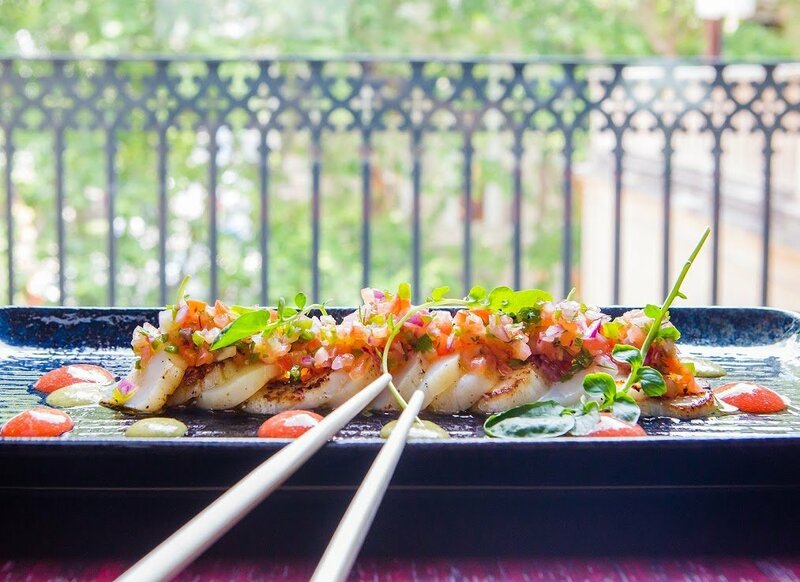 De Tokio a Lima´s sublime food has proved a huge hit with both locals and visitors so book ahead to avoid disappointment ! So whatever the Mallorca weather, click the link for a memorable meal inside in the sumptuously decorated dining area or, weather permitting outside on the terrace overlooking the beautiful city of Palma. Images kindly provided by IT Mallorca Unique Spaces .